&#8226 The Canadian Children’s Book Centre is thrilled to launch its Teachers’ Book Bank, a collection of Canadian historical fiction and non-fiction books for educators and students. Displayed in a user-friendly way, these books can be used by teachers to introduce topics and themes in Canadian history curricula and by students carrying out research projects. 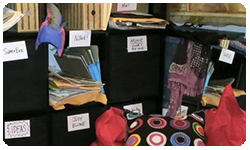 Many of the books also offer opportunities for cross-curricular connections in language arts, geography, the arts, science and other subjects. Teachers can sort through the books by simply clicking on themes or searching by keyword, with relevant information appearing as they click on each book cover. 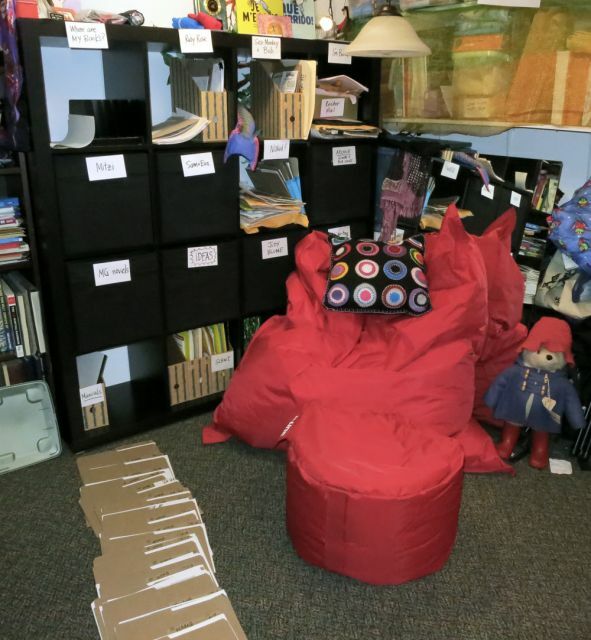 The Teachers’ Book Bank was put together with help from Historica Canada. Many corresponding lesson plans can be found on The Canadian Encyclopedia. The books currently featured are appropriate for students in grades 4 to 8. &#8226 Enter our Contest! During the month of September, we will be giving away author readings to eight classrooms across the country. Each winner will have one Canadian author of history books visit their classroom, for a one-hour presentation or workshop, with all expenses paid. All teachers of grades 4 through 8 are welcome to enter the contest. To enter, click here and fill out the form by October 15, 2014. &#8226 We recently announced the finalists for the 2014 Canadian Children’s Book Centre Awards. The winners will be announced at the TD Canadian Children’s Literature Awards and Prix TD de littérature canadienne pour l’enfance et la jeunesse – two invitation-only gala events in Toronto on November 6 and Montreal on October 28. Overall, $130,000 in prize monies will be awarded. Click here for the full list of nominees. 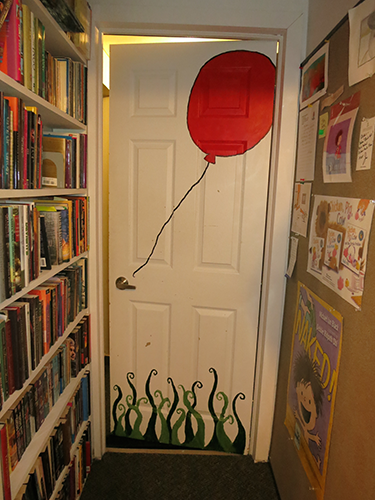 &#8226 Last month, we were pleased to announce the tour locations of the 2015 TD Canadian Children’s Book Week authors, illustrators and storytellers. Twenty-nine authors, illustrators and storytellers from all over Canada will be touring the country from May 2 – 9, 2015 celebrating books, storytelling and the importance of reading. More information about TD Canadian Children’s Book Week 2015, as well as information about each of the tour participants, will be available on www.bookweek.ca in early October, 2014. Applications to apply to host an author, illustrator or storyteller visit during Book Week will be available online in October as well. The deadline for applications is December 31, 2014. Click here to see the full list of touring authors and where they will be going. After a summer off, back-to-school reading can be daunting. Here’s our list of books to get back into the reading groove for September—reluctant and enthusiastic readers alike! It includes titles written specifically for reluctant readers, as well as stories that are engaging and approachable for everyone. Interest Level (IL) is listed by age; Reading Level (RL) is listed by grade. Books marked by an asterisk (*) are high-interest, low-vocabulary titles written specifically for struggling readers. Told completely in dialogue, this delicious take on the classic repetitive tale plays out in sly illustrations laced with visual humour—and winks at the reader with a wry irreverence that will have kids of all ages thrilled to be in on the joke. In this whimsically illustrated book a reluctant reader comes up with a whole host of excuses as to why he can’t read a book until he finally admits that reading is hard, he doesn’t read fast and sometimes there are words he doesn’t know. After some convincing, he finally agrees to read the book if, and only if, someone he loves will read it with him. Giggle, chuckle, snicker and snort your way through story time with the fourth Munsch anthology! It includes five favourites: No Clean Clothes!, Class Clown, Just One Goal!, I’m So Embarrassed and Look at Me!, as well as information about how each story was written and the kids who inspired them. Also included is a special bonus story, The Ocean Goes on Forever, printed in English, French and Anishinaabemowin (Ojibwe). Let’s hear it for our underwear! From boxers to bloomers and briefs to bikinis, whether they’re frilly, silly, or saggy – we all have our favourite pair, so give three cheers for underwear! The uproarious team behind Little Jack Horner, Live From the Corner brings us another silly story time treat. An ambitious time-travel novel set in Scotland at the time of William Wallace, this book explores the turbulence of the bloody late 13th century. Thirteen-year-old Alex sets out across war-torn Scotland to find his parents who have mysteriously disappeared. He believes his parents are being held at Hog Tower but will he make it in time or will they be executed as decreed? Chloe considers herself a normal teenage girl until a formless alien being inhabits her body. The being is named Welkin and has entered Chloe’s body as part of a school project. Chloe agrees to let it observe her life for three days — as long as Welkin doesn’t interfere. But Welkin’s sometimes humorous commentary has an enlightening effect on Chloe. Young readers will want to read other titles in the Orca Currents series. Abby and her brother Jonah visit the magic mirror in their basement, and end up in Snow White’s fairy tale. They stop her from eating the poisoned apple, but if she doesn’t die, she doesn’t get to meet her prince and doesn’t get her happy ending. Oops! Now it’s up to Abby and Jonah to make things right. But how will they avoid getting poisoned, sneak into a castle—AND find their way home again? Quinn has been called a superhero and a freak of nature. At age 13 he’s an amazing distance runner. He takes on the second-hardest challenge of his life when he enters his first ultra-marathon: a gruelling 100-mile, 24-hour-long race that will push him to the very limit of his endurance. DJ climbs Mount Kilimanjaro to scatter his beloved grandfather’s ashes. He’s always been the best at everything so climbing Kilimanjaro is just another thing to accomplish, or so he thinks. When he arrives in Tanzania, DJ finds out that youth, fitness level and drive have nothing to do with success on the mountain. It’s going to take everything he’s got, along with some help, to make it to the top. Kaz Barrett isn’t saving for college. Every penny he earns is to send his mother to a renowned sleep clinic in an attempt to cure the rare neurological disorder that causes her to fall asleep for days at a time. But when Kaz meets Zoey, his life begins spinning out of control. Zoey is unlike anyone else… but there’s another side to her that he can’t figure out. When he goes looking for answers, he finds lies, half-truths, and violence. When the first earthquake hit, Cyrus was still at home. After leading his sister to safety, Cyrus heads to the local hospital to help other victims. Once there, he does what he can to help the rescue effort. When a massive aftershock hits, Cyrus is literally buried alive and must keep his wits about him to survive. Luc isn’t afraid to take chances while downhill skiing. His girlfriend is more cautious on the slopes, but the two become lost anyway. When the search-and-rescue team learns that the skiers are missing, rookie team member Chic decides to head out and find them on his own. Who are the “Original Six”? Where else in the world is hockey popular? How can you get a job in hockey? This book answers all those questions and more, equipping hockey fans with everything they need to know about hockey, from its disputed beginnings to the billion dollar industry that it is today. This is a history of the Middle Ages, which was an age of kings and queens, knights and castles as well as caliphs and khans, Silk Roads and synagogues. This book differs from other books in that it uses infographics, which are images that explain something involving numbers or patterns like a chart or diagram, a pie chart or a timeline. It offers a unique snapshot of the medieval world in Europe as well as in the Byzantine, Ottoman and Islamic Empires. The authors of this book pay tribute to 27 extraordinary artists whose innovations changed music for generations to come. Read about Buddy Holly, Elvis Presley, Bob Marley, Louis Armstrong, Joni Mitchell, Bob Dylan, Patsy Cline, Aretha Franklin and many more. Discover the challenges these artists faced, the musical influences that shaped them and how their music inspired other artists, touched listeners and shone a light on social injustice. Includes two CDs. This graphic narrative full of amusing illustrations takes a light-hearted journey back in time to expose tales of espionage bungled due to incompetence, arrogance or just plain bad luck. Set in such places as ancient China or ancient India, or during the Cold War or World War II, these stories will keep readers on the edge of their seats. 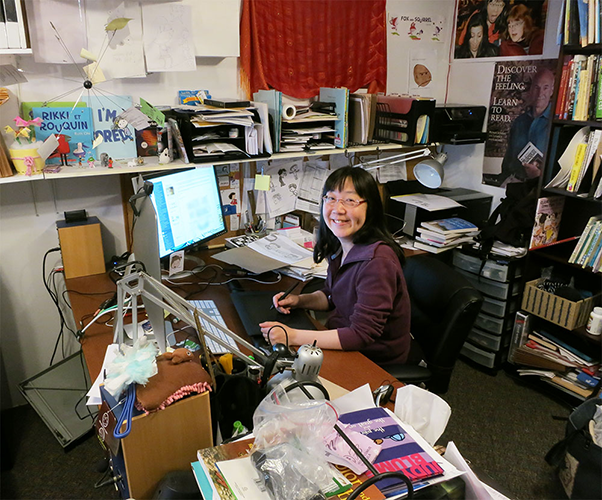 Emma Sakamoto works in Canadian publishing and has a particular love for children’s books. When she’s not reading (or thinking about reading), she likes to bake things and swing dance. INSPIRE! Toronto International Book Fair Presents World Class Authors and Workshop Series for Teachers, Librarians and Children! The latest celebration of all things literary is fast approaching (November 13–16) and the INSPIRE! team has released their impressive programming schedule. Full of dynamic presentations, meet & greets, signings and more, the Metro Toronto Convention Centre will be transformed into a book lover’s paradise. INSPIRE! features some of Canada and the world’s best children’s authors and illustrators, including Geneviève Côté, Deborah Ellis, Jeff Kinney, Jon Klassen, Gordon Korman, Dav Pilkey, Barbara Reid, Ashley Spires, Kevin Sylvester, Meg Tilly, Eric Walters and Mélanie Watt. INSPIRE! has a special focus on children’s programming on Friday, November 14, and there will be something for the whole family all weekend long at the TD Children’s Stage. See the full schedule online. INSPIRE! is proud to present a world-class series of workshops with sessions for all ages and interests. Workshops designed for teachers cover a range of topics, from “Hip Hop in the Classroom” to “IBBY Collection of Books for Young People with Disabilities.” Librarians won’t want to miss the first ever all-day Children’s and Youth Blow Out presented by the Ontario Library Association. And for children, there are sessions on history and superheroes, drawing skills and even slam poetry. Registration is open for all workshops and includes free admission to the Fair all weekend long. Join INSPIRE! for lively, interactive programming and activities (creative crafts, music, games, multicultural fun, songs, dancing) based on recent children’s books. Taking a break from our usual author interview, we decided to chat with four editors and writers of books for reluctant readers. 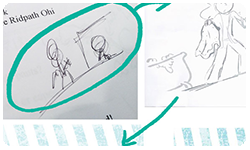 Here is what they had to say about the process of creating hi-lo books for children. Christie Harkin, associate publisher at James Lorimer & Co.
How do you select the works you publish? Lorimer wants to get kids excited about reading, so we have created several series of books, both fiction and non-fiction. We look for stories that are packed with high-interest, age-appropriate topics, and engaging narratives that reflect the real-life experiences of our readers. Including characters from a variety of cultural and socio-economic backgrounds is also extremely important to us. Who is your main readership? 1. Emergent readers. These are students who are struggling to read at “grade level.” For whatever reason, these kids have difficulty reading the rich, complex texts that other readers their age can read. And if you are struggling at something, it’s hard to be super-motivated to want to keep on doing it. 2. Selective readers. These are kids who have no difficulty with the mechanics of reading—they may even be considered strong readers, when they have to be—but, they haven’t found the right book…yet. Christie Harkin is an Associate Publisher at James Lorimer & Co., having recently moved there from Fitzhenry & Whiteside. A former high school teacher, Christie is now taking on acquisitions and editing of books for children and teenagers at Lorimer. What got you interested in publishing hi-lo books? reluctant readers. It was an underserved market and it also seemed to be a way to grow the readership for our regular fiction. We now have a middle school series—Orca Currents—and also one aimed at adult readers—the Rapid Reads. What are the particular characteristics of a hi-lo book? that readers can see themselves in is paramount. Those struggling with reading—for whatever reason —and those looking for shorter reads. As reading habits have changed over the last decade we have seen an interest in shorter, well-written books. The Orca Soundings titles are now read by readers of all abilities. 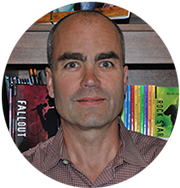 Andrew Wooldridge is the Publisher at Orca Book Publishers, an independent Canadian children’s book publisher based in British Columbia. Some children might have difficulties reading, while others are simply reluctant to sit down with a book. What suggestions do you have for parents and teachers of children in either category? The distinction is important. About a quarter of all students are reading two grade levels or more below the level of their peers; sometimes we call these “struggling readers.” The phrase “reluctant readers” used to be a euphemism for this group, but it took on its own meaning in the 1990s to describe disaffected teen readers – mostly boys – who can read competently enough, but just aren’t interested. For struggling readers, much research in the 1990s shows that reading of books at their level is essential for building skills. The trick, of course, is writing for older students but ensuring a reading level that is consistently easy. Doing so is both a science and an art, and requires considerable editing—at least at HIP Books. As for more suggestions, I did write a book on this: How to Make Your Child A Reader for Life which is still available from Random House or in libraries. Can you tell us about the process of writing for reluctant readers? How is it different from writing other kinds of novels? All novels begin with an idea, a set of characters and a vague sense of the plot. Writing for reluctant readers requires an idea that interests our mostly-male readers, characters at least two years older than the readers themselves, and a plot that is always moving forward. We can’t let our readers go, not even for a page. In editing, we go back and bring the reading levels down to what our readers can handle: out go most of the long words, out go the convoluted sentences, out goes anything that doesn’t advance the story or build the characters. The writing is tough, and the editing is sometimes ruthless. 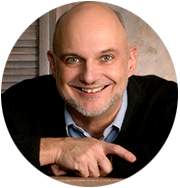 Paul Kropp is a writer and former teacher born in Buffalo, New York. He began his writing career while teaching reluctant readers in a Hamilton high school, when he found that there weren’t enough books available to meet his students’ needs. He now makes his home in Toronto. Can you tell us about the process of writing a hi-lo book? I start working on a hi-lo novel with the understanding that I’m writing for not just a reluctant reader but a discerning reader too. He/she is going to toss this book aside and go do something else if I can’t get my hooks in and hang on. That means I need lots of action and/or humour but not without character development and emotional arcs and believability. Are there any particular topics or genres that are best suited to books for reluctant readers? Sports and horses, I understand—but since my only sport is Scrabble and I’m afraid of horses, I’ll pass those tips on and hope someone else can run with them. 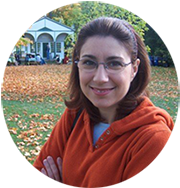 Vicki Grant is an author of books for reluctant readers. Her energy and imagination have been with her since childhood, and she eventually left her job in advertising to write full-time. 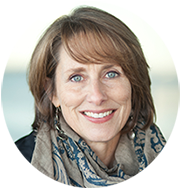 She is the author of many novels, including Betsy Wickwire’s Dirty Secret and The Puppet Wrangler. She lives in Halifax with her family. This summer vacation I travelled through books. Completing my reading journeys through Ontario and Manitoba, and beginning my trek through Nunavut. I read in subway trains, cars, buses—in my room, at my sister’s house, at my parents’ cabin, in hospitals, doctors’ offices and at the Canadian National Exhibition; taking my daily book wherever I happened to be going that day and travelling both around the world and through time via words on a page. And, because it was summer, the perfect time for binge reading, I even snuck in a couple of extra recreational reads for fun, like Push by Eve Silver. Lack of a television and extended car trips both provide ample reading time. But now September has begun and a new year of school has started. My summer vacation lasted 65 days and during that time I read just over 15,500 pages, logging an additional 1,550 km on my Marathon of Books. I’m two thirds of my way through my reading, and now’s the time when I have to regroup to push through the last four months. I encourage you to do your part. If your summer vacation took you away from the internet, all of my 65 summer reviews are on my website, www.amysmarathonofbooks.ca, as well as my daily Tumblr posts. 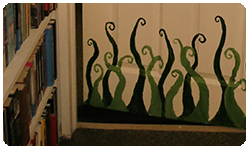 There’s still time to take the 13 Book Challenge, and to donate to the Marathon of Books. We’re up to nearly $15,000, a great start to say thanks to Canadian teen authors for their incredible work. Amy Mathers is reading and reviewing one Canadian YA book a day for a year to raise money for a new teen book award. Visit her website at www.amysmarathonofbooks.ca. 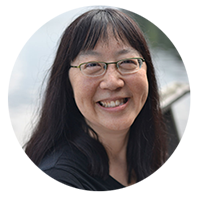 Debbie Ridpath Ohi is the founder of the online community Inkspot and Inklings where she is also known as InkyGirl, or as @inkyelbows on Twitter. Sense a theme? That’s because first and foremost Debbie is a children’s book illustrator whose trademark is strong (or inky) lines to create ebullient art full of emphasis and expression (much like children themselves). 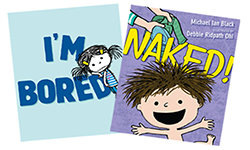 After reading through the works that Debbie has illustrated you’ll find yourself charmed and grinning (I especially love Naked!, written by Michael Ian Black—who wouldn’t?). A big thank you to Debbie who agreed to pen some answers to our questions about illustrating children’s books. Tell us a little about yourself. How did you end up becoming a children’s book illustrator? Once upon a time, I was a computer programmer/analyst for Toronto-Dominion Bank. With the encouragement and support of my husband, I ended up quitting my corporate job to hurl myself into the arts. As I worked on my novel writing skills, I earned money in various part-time and freelance gigs including working in a Toronto Library, a children’s bookstore, teaching piano and flute, creating handmade posters and custom greeting cards, and writing non-fiction articles. In the early days of the Web, I created an online resource for writers called Inkspot, with a companion e-newsletter called Inklings which had nearly 50,000 subscribers. I originally began it to help me find other children’s book writers, but it grew to the point where I spent more time managing the site than on my own writing, so I ended up selling it to a company in the U.S. You can see a summary of my corporate experience here. I plunged back into freelancing full-time. My agent sent out two of my middle grade novels but although I got very close with the second, we were unable to find a publisher. I decided it was time to get out of the safe hobbit hole of an office and get out and meet people in person. In 2010, my friend Beckett Gladney convinced me to enter the illustrator portfolio showcase at the SCBWI Summer Conference in Los Angeles. I resisted at first. I wasn’t a “real” artist! Yes, I doodled and did webcomics a lot but I had no art training. My sister Ruth and husband Jeff agreed with my friend, though, and Beckett helped me put together my very first portfolio, using doodles I had posted on Flickr. To my shock, I ended up winning two awards! One was for the SCBWI Illustration Mentorship program and the other was one of two runners-up for the overall showcase. One of the judges for the latter was Justin Chanda, publisher at Simon & Schuster Children’s, and he asked me if I’d be interested in illustrating a picture book called I’m Bored, written by Michael Ian Black. I couldn’t believe it! I said yes, of course, and now I’ve illustrated a bunch of books for Simon & Schuster including some Judy Blume books being reissued by Atheneum. How do you imagine that your illustrations, apart from or with their texts, might be used in the classroom? Do you have any fun suggestions for teachers or parents? I’ve been gradually building up a collection of fun print-ready activity sheets and materials in my bonus pages for books I’ve illustrated. In the I’m Bored bonus page, for example, I have write-your-own story pages, templates for young cartoonists, activity sheets for young illustrators, colouring pages, greeting cards and much more. 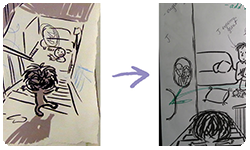 In my “How This Picture Book Was Created” sections, I show early sketches and photos of the process. I commissioned educational consultant Marcie Colleen to create Teacher’s Guides for both I’m Bored and Naked!. You can download them for free on my website here: debbieohi.com/Bored and debbieohi.com/Naked. I’ve just started working on related activity sheets and listing resources for classroom use to go with the Judy Blume books I’ve illustrated and that can be found here. And I’ve also been adding fun illustrated posters to my “For The Love Of Reading” resource here. 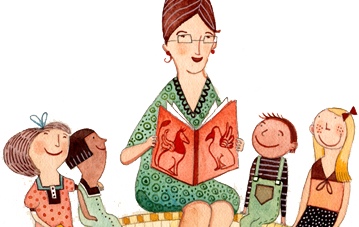 The goal: to provide teachers, librarians and parents with resources and activities to help encourage lifelong reading habits in young people. 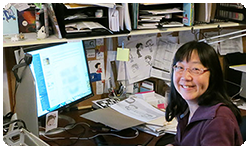 I post updates on my kidlit/YA Twitter account: @inkyelbows. I recently finished the first picture book that I’m both writing and illustrating, it’s called Where Are My Books? It will be released by Simon & Schuster Books For Young Readers in Summer 2015 and I can’t wait! 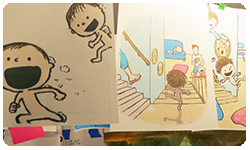 Now I’m working on illustrating Sea-Monkey and Bob, a fun picture book written by Aaron Reynolds (Simon & Schuster Books For Young Readers, Fall 2015), Ruby Rose on her Toes by Rob Sanders (HarperCollins Children’s , 2016) and Mitzi Tulane: Preschool Detective by Lauren McLaughlin (Random House Children’s, 2016). I also have one or two upcoming projects I can’t talk about yet, but hopefully soon! 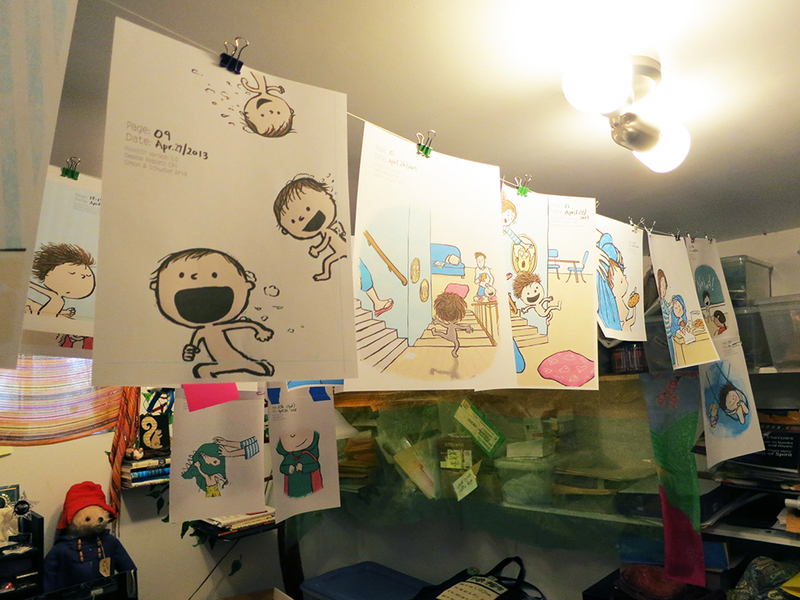 Debbie kindly shared some pictures of her studio space and her drawing process. Click on the thumbnails to enlarge. Stephanie Dror has a Master of Arts in Children’s Literature. 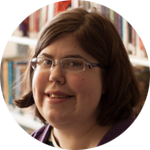 She is the Membership Secretary for IBBY Canada, a founder and blogger at The Book Wars and a book reviewer for Canadian Materials and The Ottawa Review of Books. How does a successful author partnership work? Four dynamic writing duos explain. With 25 books in five years, artist Qin Leng is a very busy illustrator. Plus Book Week updates, a Halloween reading list, early chapter books for the classroom, reviews of the latest books and much more. Canadian Children’s Book News can be purchased at select bookstores or in our online shop. Our October newsletter will be highlighting Canadian science books for kids and teens. Do you have any feedback or suggestions for future newsletters? Email us your ideas!